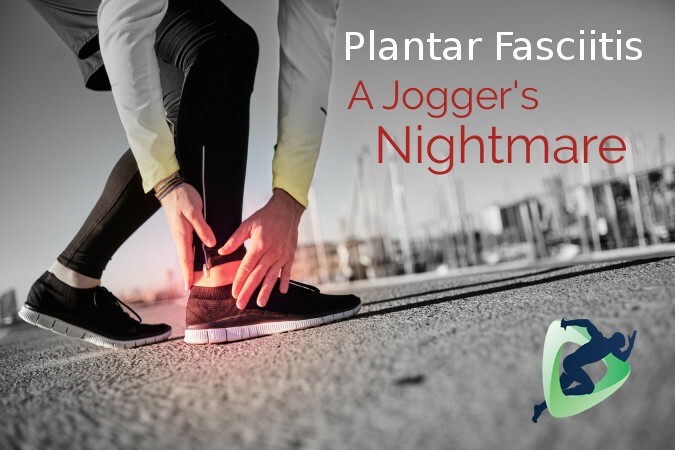 Plantar Fasciitis is an inflammatory condition of the the tough connective tissue that spans from the heel to the toes. Because this tissue is not very elastic, it often becomes irritated when it is overstretched due to over pronation often seen in feet that have collapsed arches. Other causes of irritation may be related to tight calf muscles, stiff ankles, improper fitting shoes, or excessive amounts of running or walking. Symptoms may include burning pain in the heel or arch, stiffness in the morning, difficulty walking or standing for prolonged periods of time. Symptoms can last weeks to months. There is no “golden rule” for treatment. Self-treatments may include changing to a better pair of shoes, wearing orthotics, applying ice, or stretching the calf muscle. Medical treatment may include ultrasound, laser, iontophoresis, steroid injections, and sometimes surgery. These kinds of treatments, however, may only provide temporary relief. The solution to finding the right treatment is finding the source of the problem. More often than not, the foot is being placed in an abnormal loading position when walking or running. Imagine what would happen if the alignment of your car tires were off their normal axis of movement. Abnormal alignment results in an excessive breakdown of the outer or inner edges of the tire. Similarly, when your foot strikes the ground, its placement depends on the biomechanics of the knee, hip, pelvis and rib cage. If any of those structures are not moving correctly, it will cause abnormal loading of the foot. Muscle tightness or weakness in the joints above the ankle will create abnormal compensational movement patterns of the lower leg. Our Physical therapists are specially trained to be able to identify and correct these patterns.